About — Knowledge Synthesis Inc.
Hugh brings the drive and vision to generate actionable hypotheses in biomedicine from complex, data-rich challenges to understand drugs and diseases. At Knowledge Synthesis Hugh leads customer project research by exploiting Computational Biology and Bioinformatics with an emphasis on implementing statistical pathway analysis for biomedical discovery. He earned his Ph.D. in Biophysics at U.C. Berkeley and completed his post-doctoral training at Stanford Medical School. Hugh has a decade of experience in the pharmaceutical industry, has built and led a Computational Biology department within a major pharmaceutical company, and has provided services as a contract researcher to non-profits, small pharma, and big pharma. His work in quantitative biology and data visualization has been applied broadly across biological research. Hugh's published research includes work in tuberculosis genomics, proteomics, and epidemiology, multiple sclerosis and interferons, and antigen-presenting protein evolution. Ken adds robust computing and database experience and emphasizes coordination of his work with multi-disciplinary scientific efforts. He earned his B.S. in Electrical Engineering from Yale University and Ph.D. from U.C. Berkeley and has worked for biotech and pharma, both as an employee and consultant. Ken has coordinated biological sample profiling and data reconciliation and served as a liaison to cardiovascular, immunology, and cancer research. His utility-focused approach to software development provides Knowledge Synthesis with exceptional and uniquely powerful data analysis infrastructure facilitating both customer projects and in-house research. His published work includes articles on computational biology, pathway analysis, multiple sclerosis, interferon research, and oncology targets. 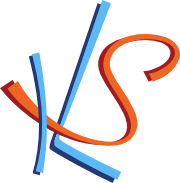 Knowledge Synthesis projects include contract projects for clients, collaborative projects, and internal proprietary technology development and discovery. The following are some the recent projects we can talk about. For a complete list of our contributions to published research, please see our technology page. With continuing development of iDataMed, Knowledge Synthesis forges ahead in this entrepreneurial, ambitious endeavor to bring Big Data to every life sciences investigator. Knowledge Synthesis developed and implemented technology to integrate and query tuberculosis drug resistance and mutation data. Our effort to bring together multiple studies and online resources was presented in a collaborative Journal of Infectious Diseases publication, "Integration of published information into a resistance-associated mutation database for Mycobacterium tuberculosis." This project for FIND was supported by the Bill & Melinda Gates Foundation. Publication of "Cutting edge: Vitamin D regulates lipid metabolism in Mycobacterium tuberculosis infection." in the Journal of Immunology marks a milestone in our collaborations with Drs. Gennaro and Pine at The Public Health Research Institute (PHRI) of New Jersey Medical School - Rutgers University (previously UMDNJ). Using KS/prot and KS/path technology, Knowledge Synthesis identified signaling downstream of the Vitamin D-receptor (VDR) in tuberculosis clinical samples and in vitro cells infected with Mycobacterium tuberculosis. Because this transcriptome analysis also found evidence for significant changes in lipid metabolism gene expression, the investigation fit well into the the ongoing Rutgers research into host-pathogen interactions and metabolic processes. Using data integration and analysis, Knowledge Synthesis was able to pinpoint particular protein activity changes during infection and vitamin D treatment of infected cells, importantly that of the proadipogenic peroxisome proliferator-activated receptor γ (PPARγ). This study showed that Vitamin D treatment of infected macrophages abrogated infection-induced accumulation of lipid droplets needed for intracellular bacterial survival, and limited bacterial growth. We welcome you to inquire further about Knowledge Synthesis services and technology.